OHIO — This year marks the 100th anniversary of two legislative acts that shaped the future of public health in Ohio. The Hughes Act and Griswold Act, both enacted in 1919, established the modern day organization of local health departments and laid the foundation for public health efforts still in effect today. 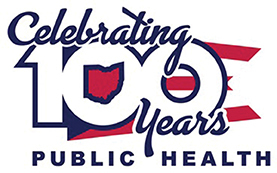 In the 100 years that have passed since the Hughes-Griswold Acts, public health has had a significant impact on health and quality of life in Ohio: People are living an average of 25 years longer; smallpox, once a common, deadly disease, has been eradicated; motor vehicle fatalities have been reduced by 90 percent and deaths from sudden infant death syndrome have decreased 50 percent. Also among the accomplishments of public health are: Immunizations for children and adults, the control of infectious diseases, reduction of tobacco use, safer and healthier foods. Also, public health has promoted better maternal and child healthcare, increased preventive screenings and emergency preparedness and response. The Hughes-Griswold Acts allowed for the formation of local boards of health for cities and counties. A uniform structure for each health district was established, including who should be on the board, the creation of the district advisory council and the minimum number of employees required. As determined by the legislation, each health department was required to have three employees: a health officer (or health commissioner), a public health nurse and a clerk. On January 12, 1920, the Putnam County Board of Health met for the first time to begin organizing the Putnam County Health Department. At the next few meetings, the first employees were appointed: Dr. W.S. Yeager as Health Commissioner, Miss Louise Labadie, public health nurse, and Miss Nora A. Meyers, clerk. The legislation also established the duties of each district, many of which are still performed today. Those services include data collection, control and prevention of communicable disease, food safety, birth and death records, inspection and abatement of nuisances. More programs and services, such as emergency preparedness, water and septic permits, school nursing, and community health improvement planning, have been added during the last 100 years in an effort to protect and promote the community’s health. While the last 100 years have been filled with much success and progress, the next 100 years promises to show the ever-growing presence and importance of public health in our everyday lives. Efforts to address substance abuse, health equity and access, national accreditation and the development of partnerships with agencies and organizations in the community are all reaching for the common goal to provide a healthy and safe community in which to live and grow.